The Surname is merged onto the shirt, along with their chosen shirt number. Being able to change the shirt number makes it an ideal birthday or anniversary gift! 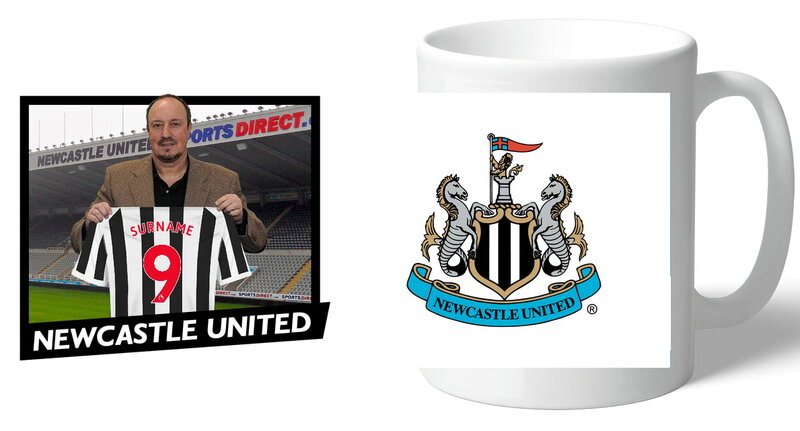 Our Newcastle United FC mugs are dishwasher and microwave safe. 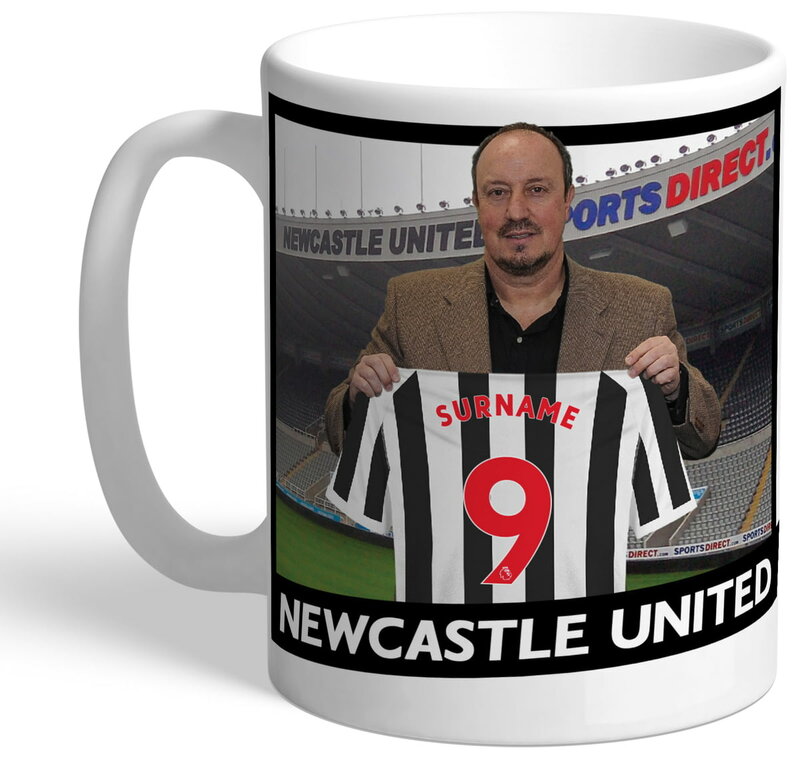 Do you know a dedicated Benitez fan? This stunning gift is sure to raise a smile, as the recipient receives a personal message from the Newcastle United FC manager. Do you know a dedicated Lascelles fan? This stunning gift is sure to raise a smile, as the recipient receives a personal message from their favourite Newcastle United FC player. Do you know a dedicated Ritchie fan? This stunning gift is sure to raise a smile, as the recipient receives a personal message from their favourite Newcastle United FC player. Do you know a dedicated Shelvey fan? This stunning gift is sure to raise a smile, as the recipient receives a personal message from their favourite Newcastle United FC player. One of our best-selling Newcastle United FC gifts of all time, this personalised dressing room mug is the ultimate must-have for any Newcastle United FC fan.